IPL 2019: Tahir is vintage, he is just getting better with age. South Africa vs Sri Lanka 1st T20I: Imran Tahir was jumping in joy when Thisara Perera played a dot ball when Sri Lanka needed 12 off two balls. Tahir was clever as he kept the ball out of Perera’s hitting zone. 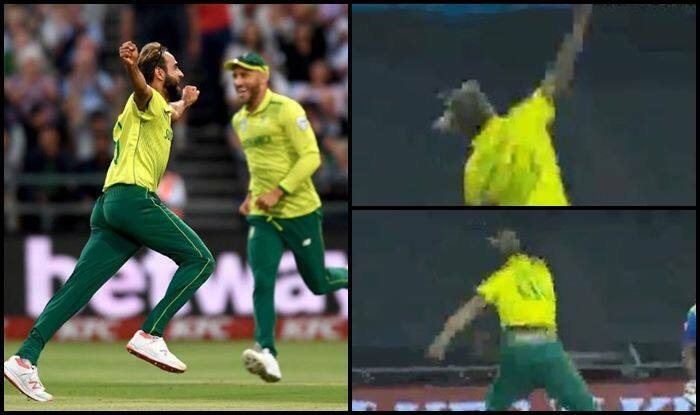 Once he missed the ball, Tahir was screaming at the Newlands as he knew they had pocketed the match. Defending 15 runs in the Super Over, it was a surprise for fans when Faf trusted Tahir with the Super Over. Tahir came up with the goods as he conceded merely five runs in the over. The 39-year-old cricketers till has the fire in his belly which should be heartwarming for fans. Tahir bowled splendidly throughout the match as he conceded 21 runs in his four overs quota. Both the teams managed to score 134 and hence forcing the game to a Super Over before South Africa clinched it. Earlier, it was David Miller who came good with the bat in the Super Over hitting a six and a four to help Proteas score 14 in the Super Over before Tahir’s heroics sealed it for South Africa.